NEW YORK Mental health experts say a new tougher New York state gun control law might interfere with treatment of potentially dangerous people and even discourage them from seeking help. The law would require therapists, doctors, nurses and social workers to tell government authorities if they believe a patient is likely to harm himself or others. That could lead to revoking the patient's gun permit and seizing any guns. In interviews Tuesday, one expert called the new law meaningless and said he expects mental health providers to ignore it, while others said they worry about its impact on patients. 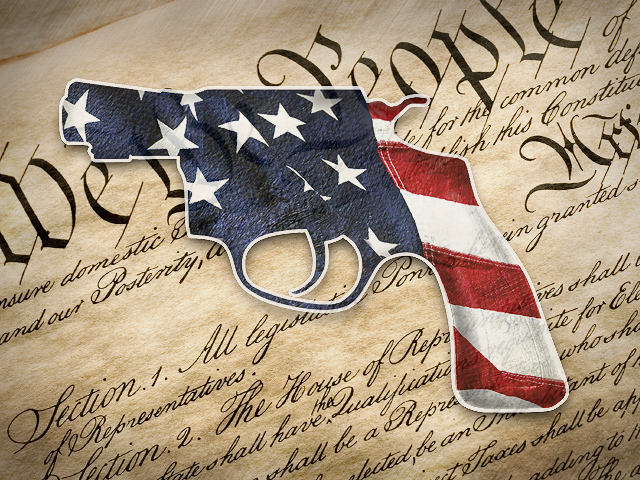 What are Obama's gun control proposals? Dr. Paul Appelbaum at Columbia University said the prospect of being reported to local mental health authorities and maybe the police might discourage people from revealing thoughts of harm to a therapist, or even from seeking treatment at all. "The people who arguably most need to be in treatment and most need to feel free to talk about these disturbing impulses, may be the ones we make least likely to do so," said the director of law, ethics and psychiatry at Columbia. "They will either simply not come, or not report the thoughts that they have." "If people with suicidal or homicidal impulses avoid treatment for fear of being reported in this way, they may be more likely to act on those impulses," he said. Currently a mental health professional has a duty to protect potential victims of a patient, but there are several ways to do that, he said. The patient can be committed to an institution, voluntarily or not, or his medication can be changed to reduce the risk, or the intended victim can be warned, he said. The patient's family can be asked to lock up any guns in the house, or to keep an eye on the patient to see if he's doing something that could bring on violence, like drinking or skipping his medications, Appelbaum said. The family could then notify the mental health professional. This flexibility allows a therapist to deal with a risk of violence without breaching confidentiality in all cases, he said. And even if those steps are enough to blunt the danger, the proposed law would still require that the patient be reported to mental health authorities, he noted. "It undercuts the clinical approach to treating these impulses, and instead turns it into a public safety issue," Appelbaum said. He also noted that in many mass shootings in the past, the gunman had not been under treatment and so would not have been deterred by a law like the proposed measure. Dr. Steven Dubovsky, chairman of the psychiatry department at the University at Buffalo, called the new measure meaningless. "It's pure political posturing" and a deceptive attempt to reassure the public, he said. The intent seems to be to turn mental health professionals into detectives and policemen, he said, but "no patient is going to tell you anything if they think you're going to report them." A therapist who took the measure seriously would have to warn patients about revealing anything incriminating, which would destroy the doctor-patient relationship, he said. At the same time, he said the law can't be taken seriously because therapists won't be held liable if they don't report a patient they think is dangerous. He thinks most therapists will ignore the law and continue to handle cases as they do now. Dr. Mark Olfson, a psychiatry professor at Columbia, said that if the new law is "crudely applied," it could "erode patient trust in mental health care professionals," essential for effective care. Yet, he said, "if the law is implemented in a clinically well-informed manner, it holds the promise of helping to protect patients and the general public." Eric Neblung, president of the New York State Psychological Association and a psychologist in Nyack, NY, called the new measure "a helpful step" but said it doesn't address a more fundamental need  improved access to mental health services.